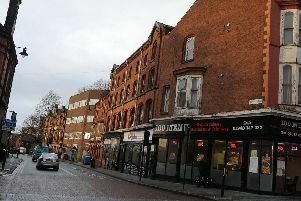 Makeover plans for a listed building in a key location in Wigan town centre could be back on track this year. Council bosses say lottery funding has been secured for a project to spruce up the Tower Buildings on Wallgate, opposite Wigan North Western station. 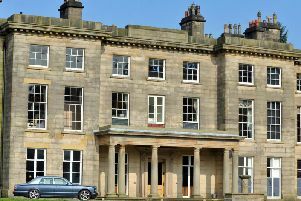 A total of £850k will be spent restoring the frontage of the listed building, part of a wider scheme to prepare the town for its expected link to the HS2 network. Coun Terry Halliwell, cabinet member for housing and welfare, told the recent full council meeting the ‘really important’ refurbishment project will ‘change that area of Wallgate’. The upper floors of the Victorian building have been vacant for several years with retail units trading on the ground floor. Planning permission was granted to convert the upper floors – formerly used as a Masonic Hall – into apartments and office space in 2016. The following year the council announced its intention to refurbish the building’s frontage as it greets thousands of visitors to Wigan each day and had become ‘dilapidated’. A bid to the National Lottery Heritage Fund was approved at the end of 2018, the council said. Around £492k will be allocated towards the costs, with the town hall providing the remaining £358k. Proposed works include refurbishing the building’s ornate terracotta facade, upgrading the windows and repairing the roof. Council officers are now in discussions with the building’s owners as legal agreements must be finalised before work can start. As part of the local authority’s economic strategy, bosses have expressed their aim to take advantage of the town’s link to high-speed rail. And plans have been discussed about improved connections between North Western and Wallgate stations to create a transport hub. If the national plans – currently out to consultation – are realised, Wigan will connect to Birmingham in just 35 minutes and London in one hour 23 minutes. Wigan has previously received lottery heritage funding for the wider Wallgate Townscape Heritage Initiative which has already seen other buildings in the town centre overhauled.